children over 12 who enjoy hiking and cycling in the countryside. 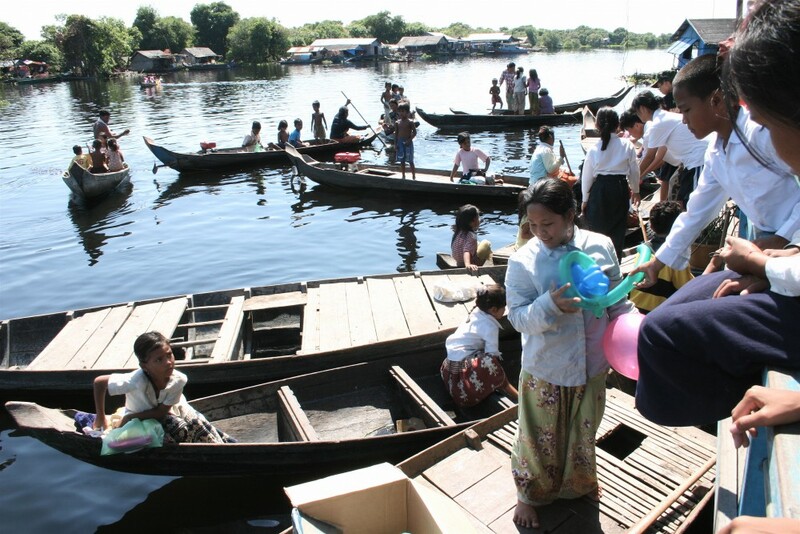 Daytrip by motorboat to Prek Toal 2000 family floating village at the mouth of The Sangke River on Tonle Sap Lake & adjacent 22,000 ha Core Bird Reserve. Largest colonies of water-birds in SE Asia – bird watchers heaven. We have lunch on the Saray Platform a women’s initiative to help provide alternative incomes. They can also cook a good lunch. Options for upgraded homestay in a floating house to be in Core Bird Reserve at dawn – best time for birds also as a stop on a river journey to Battambang.